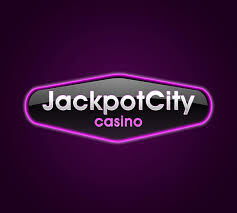 Jackpot City Casino is a popular option for online casino bettors. They have over 500 games, and offer bonuses and promotions frequently to their players. Their software is also available through different mobile devices, which is one of the more “modern” features of online operators. They have been in business since 1998, and can be played with different languages to make it convenient for their players all over the world. By being one of the pioneers of online casinos, they definitely have proven themselves to be a secure and safe site. LEt’s take a look at their site, registration process, and software. Our review will show if they are worth the time to register and play your favorite casino games. Jackpot City Casino does not need to prove its worth. It has been operating since the late 1990’s, and still remains to be a popular site. 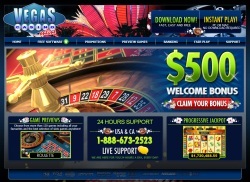 They promote their 500+ casino gaming options for players, as well as their wide variety of payment options. They are also continually releasing new games to keep their players entertained. They also have generous bonuses. There are rarely any complaints about them, and they invest in making sure their games are fair, and that all information is kept secure. Of course, their expansion means a lot of options for the players. And when quantity increases, we often think if the quality can be maintained. Of course, this does not pertain to their main site or their software, as they are as secure as it needs to be. Registration was easy and quick. We were able to make our account soon, and we immediately checked out the offerings of the site. Our first thought was, this site is busy! And we don’t mean the activity of the site, rather, the design of it. The colors, the options, the effects. I guess it does replicate a casino in the sense that its bright and busy. But from an online user, I would prefer a much cleaner layout. Now, when they say that they have 500+ games, they really have a lot. Choosing one type of slots to play took us a while. Mostly because we could not decide on which game to pick. There were a lot of options, too much, we think. You see, we want diversity, and we love that they have a lot of games. But the time spent choosing a game was wasted when we could have been playing already. Again, its the “noise” or they “busy” look of the site. Others may appreciate the colors and all the sparkle. But somehow, it was a bit too distracting. It took us minutes to find a slots game we liked. By the time we wanted to try live blackjack, our eyes hurt a bit. One thing we did miss, was the absence of a pay per head sportsbook. I mean, most sportsbooks and pay per head providers already have online casino games build in. So in terms of variety, they have a lot of casino games, but in terms of gambling, we were left wanting a bit more. Again, they are one of the pioneers in the online casino industry, and their site is secure and they have great payment options and all that. And while we appreciate the myriad of casino games, we got a bit overwhelmed. We would have preferred a smaller site, with less games, and a cleaner layout that did not try to blind us in the process. Do we recommend them? We do respect their longevity, and their site is decent. Perhaps it just was not it for us. Or maybe we just need to rest our eyes a bit. Read more gambling reviews here!